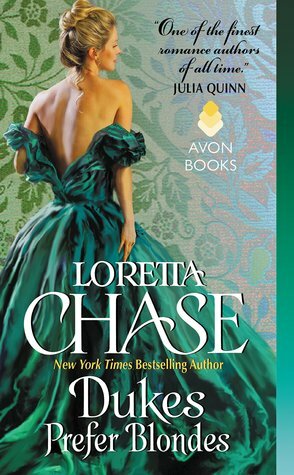 Color me surprised by a hero and heroine who are not the normal portrayals typically found in historical romance books. In fact the premise starts off like ones I’ve read before but it quickly becomes clear that Ms. Chase has created something unique and entertaining. Oliver most especially, but Clara too, has the ability to use a technique far more effective than in any other book I’ve read before. The use of words. Lots and lots of words – dialogue that cuts, speech that is erudite and eloquent in its intelligence, discussions on pointed and specific observations that are spelled out with a clarity that a Vulcan would envy and adore. A debate between Oliver Radford and Mr. Spock would probably be a draw if not for one element, Clara. She’s Oliver’s Achilles heel, and what a delightful one she turned out to be. Both the hero and heroine are outside the box when it comes to viewpoints; how they navigate the beau monde, how they choose who to associate with, and their roles in society. My favorite part is when the hero goes on trial because he wants to marry Clara. I do not believe I have ever seen that scenario played out before and I found it clever and quite entertaining. The very thing that makes this novel so compelling and unique, the use of words, also has the misfortunate tendency to slow down the pace of the story. Oliver’s point of view is expounded upon so thoroughly that I surely thought I’d go mad. Clara was a tad better because she used her words to spar with and annoy Oliver, so I thought that rather grand. But, if the author’s intent was to convey to a reader just how annoying and irritating Oliver’s unique brand of conversation was, then she succeeded. A note of humor about this complaint is that it’s shared not only by me but by various characters in the story, including the hero’s best friend, Westcott. Even the King had a few words, so it’s not my imagination. My only question is, did the author have to convince me so thoroughly? Oliver’s seduction of Clara was a thing of beauty. It was sensual and well written and the more adventurous scenes afterwards were not only quite spicy but another platform for the use of more words. At least in this, pink cheeks and enthusiastic exploration helped to make them fun to read. There was a hint of drama due to the fact that people seem to want to kill Radford. He’s become one villain’s obsession to the exclusion of all else. The villain’s demise was rather unusual and contrary and a means only a lawyer could pull off. I’ve never seen that technique used before either, so Ms. Chase has to be given credit for high creativity. I have no idea if the historical aspects of this story are accurate or not; I’m more concerned about whether or not the plot works, it does, whether or not I liked meeting the main characters, I did, and if I enjoyed how the author wrapped up the story, I totally did. It was complete, satisfying and a combination of humorous, bittersweet and romantic. As long as readers don’t mind a wordsmith barrister for a hero, then Dukes Prefer Blondes should definitely be given a try. It has its moments of sheer creative genius and plot twists that make reading the novel worth the time.